Recently, I’ve been to Hong Kong for Open Source Hong Kong 2015, which is the heritage of the GNOME.Asia Summit 2012 we’ve had in Hong Kong. 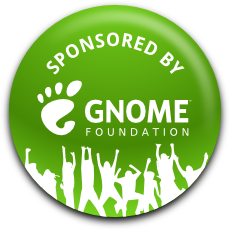 The organisers apparently liked their experience when organising GNOME.Asia Summit in 2012 and continued to organise Free Software events. When talking to organisers, they said that more than 1000 people registered for the gratis event. While those 1000 were not present, half of them are more realistic. Olivier from Amazon Web Services Klein was opening the conference with his keynote on Big Data and Open Source. He began with a quote from RMS: about the “Free” in Free Software referring to freedom, not price. He followed with the question of how does Big Data fit into the spirit of Free Software. He answered shortly afterwards by saying that technologies like Hadoop allow you to mess around with large data sets on commodity hardware rather than requiring you to build a heavy data center first. The talk then, although he said it would not, went into a subtle sales pitch for AWS. So we learned about AWS’ Global Infrastructure, like how well located the AWS servers are, how the AWS architecture helps you to perform your tasks, how everything in AWS is an API, etc. I wasn’t all too impressed, but then he demoed how he uses various Amazon services to analyse Twitter for certain keywords. Of course, analysing Twitter is not that impressive, but being able to do that within a few second with relatively few lines of code impressed me. I was also impressed by his demoing skills. Of course, one part of his demo failed, but he was reacting very professionally, e.g. he quickly opened a WiFi hotspot on his phone to use that as an alternative uplink. Also, he quickly grasped what was going on on his remote Amazon machine by quickly glancing over netstat and ps output. From the six parallel tracks, I chose to attend the one on BDD in Mediawiki by Baochuan Lu. He started out by providing his motivation for his work. He loves Free/Libre and Open Source software, because it provides a life-long learning environment as well as a very supportive community. He is also a teacher and makes his students contribute to Free Software projects in order to get real-life experience with software development. As a professor, he said, one of his fears when starting these projects was being considered as the expert™ although he doesn’t know much about Free Software development. This, he said, is shared by many professors which is why they would not consider entering the public realm of contributing to Free Software projects. But he reached out to the (Mediawiki) community and got amazing responses and an awful lot of help. He continued by introducing to Mediawiki, which, he said, is a platform which powers many Wikimedia Foundation projects such as the Wikipedia, Wikibooks, Wikiversity, and others. One of the strategies for testing the Mediawiki is to use Selenium and Cucumber for automated tests. He introduced the basic concepts of Behaviour Driven Development (BDD), such as being short and concise in your test cases or being iterative in the test design phase. Afterwards, he showed us how his tests look like and how they run. The after-lunch talk titled Data Transformation in Camel Style was given by Red Hat’s Roger Hui and was concerned with Apache Camel, an “Enterprise Integration” software. I had never heard of that and I am not much smarter know. From what I understood, Camel allows you to program message workflows. So depending on the content of a message, you can make it go certain ways, i.e. to a file or to an ActiveMQ queue. The second important part is data transformation. For example, if you want to change the data format from XML to JSON, you can use their tooling with a nice clicky pointy GUI to drag your messages around and route them through various translators. From the next talk by Thomas Kuiper I learned a lot about Gandi, the domain registrar. But they do much more than that. And you can do that with a command line interface! So they are very tech savvy and enjoy having such customers, too. They really seem to be a cool company with an appropriate attitude. The next presentation was given by Microsoft on .NET going Open Source. She presented the .NET stack which Microsoft has open sourced at the end of last year as well as on Visual Studio. Their vision, she said, is that Visual Studio is a general purpose IDE for every app and every developer. So they have good Python and Android support, she said. A “free cross platform code editor” named Visual Studio Code exists now which is a bit more than an editor. So it does understand some languages and can help you while debugging. I tried to get more information on that Patent Grant, but she couldn’t help me much. There was also a talk on Luwrain by Michael Pozhidaev which is GPLv3 software for blind people. It is not a screen reader but more of a framework for writing software for blind people. They provide an API that guarantees that your program will be accessible without the application programmer needing to have knowledge of accessibility technology. They haven’t had a stable release just yet, but it is expected for the end of 2015. The demo unveiled some a text oriented desktop which reads out text on the screen. Several applications already exist, including a file editor and a Twitter client. The user is able to scroll through the text by word or character which reminded of ChorusText I’ve seen at GNOME.Asia Summit earlier this year. I had the keynote slot which allowed me to throw out my ideas for the future of the Free Software movement. I presented on GNOME and how I see that security and privacy can make a distinguishing feature of Free Software. We had an interesting discussion afterwards as to how to enable users to make security decisions without prompts. I conclude that people do care about creating usable secure software which I found very refreshing.